Maria was born Maria Laczynska because she was Polish. In 1804, she married Anastazy Walewska, which was a good idea because it made her countess. In 1806, Maria Walewska met Napoleon Bonaparte, which resulted in child Alexandre-Florian-Joseph Colonna, Comte Walewski, who was born in 1810. The kid became a diplomat under Napoleon III. In 1816, Maria married Philippe-Antoine d'Ornano. 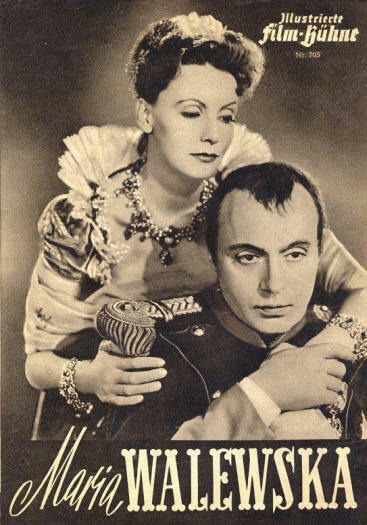 In the 1937 movie Conquest, aka Maria Walewska, which was the international title, Greta Garbo is a stunning Maria Walewska. Lucky dog Charles Boyer got the part for Napoleon.